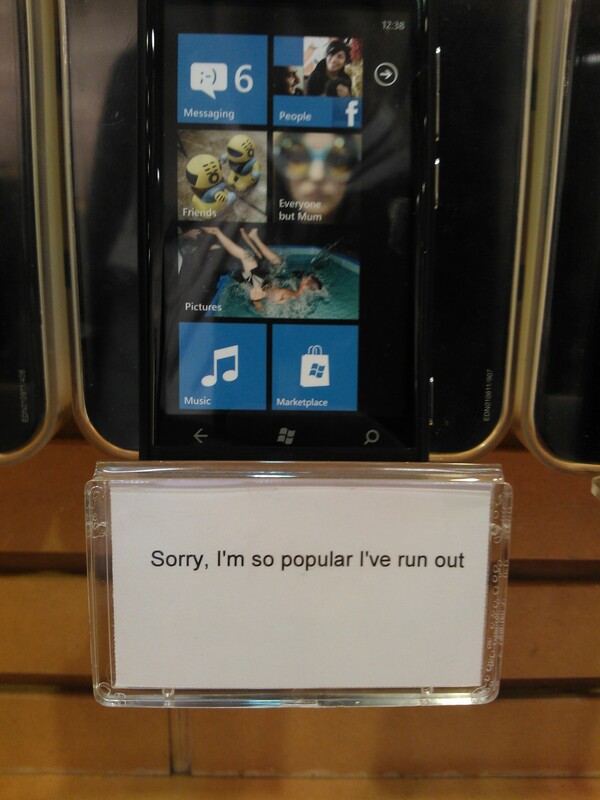 Nokia Lumia 800 sold out in some Orange Stores. I don’t know what the stock size is at Orange stores but I keep getting reports that they’re selling out of Nokia Lumia 800s. The one in Manchester has sold plenty and has sold out of cases for the Lumia 800. In Liverpool and Preston, a couple of friends said they went there to try and upgrade but have been told they were sold out already. Not sure if it still says anything about being sold out. Devin tweeted some days ago too that it had sold out. Cheers Realtechie for the tip. « Nokia Lumia 800 a hit in Britain, UK sales excellent. Best ever first week Nokia.